A documentary about the German tour of the American musical group "Turtle Island String Quartet," an ensemble from San Francisco, who perform a crossover blend of classical and jazz. The musicians have little in common with the traditional image of a string quartet: In their performances one encounters neither black-suited musicians nor somnolent audiences; instead their concerts are generally fun-filled affairs. 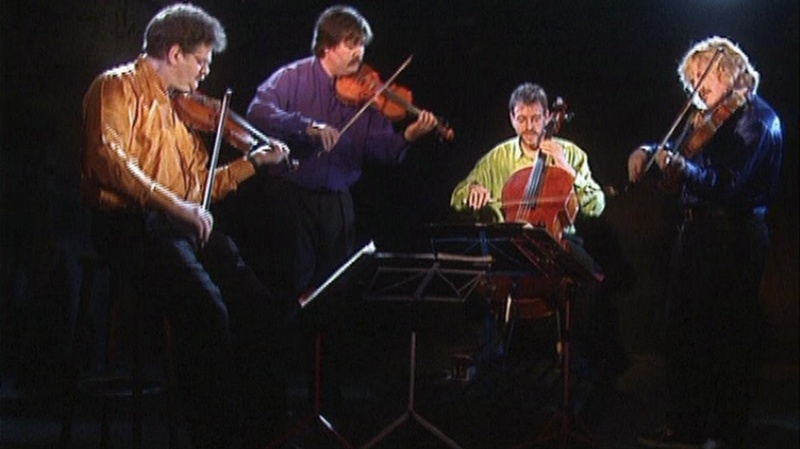 And, today they enjoy the reputation for being one of the most original string quartets upon the international concert stage. Nearly the entire repertoire of the "Turtles" are arrangements or original compositions which freely careen to and fro between classic, jazz, R & B and Pop.